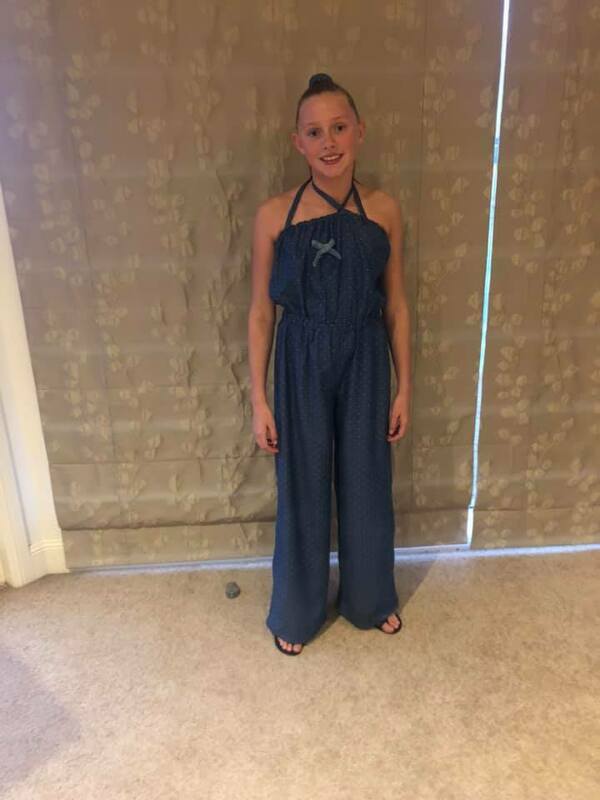 One of our kids ‘Design with Denim’ sewing competition entry is from Brooke Briscoe. Brooke has been attending our kids sewing club for several years now and has certainly developed some excellent sewing and design skills. 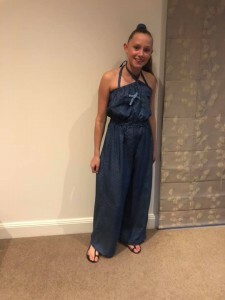 Brooke made a gorgeous denim jumpsuit from New Look Pattern 6291 and did a fabulous job! Check it out below & read her inspiring story behind making this outfit. Style A with moderations: Thinner straps and bow. My inspiration for my piece was a comfy but casual look. 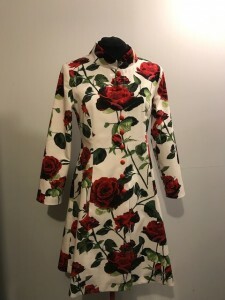 I wanted to have a piece of clothing that I could wear out of my house which I would look nice in, but not look too fancy. I was looking through the patterns and as soon as I saw this pattern I fell in love with it. I wanted to add creativity so as I could display my originality. I added a little bow on the side which was the opposite colour of the first main colour, I had for a little touch to show that I had made it. The reason I chose to enter this competition was to see what my strengths can lead to. 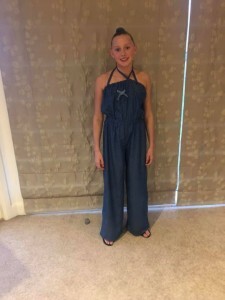 I love the idea of this competition and would love to go through this experience again. 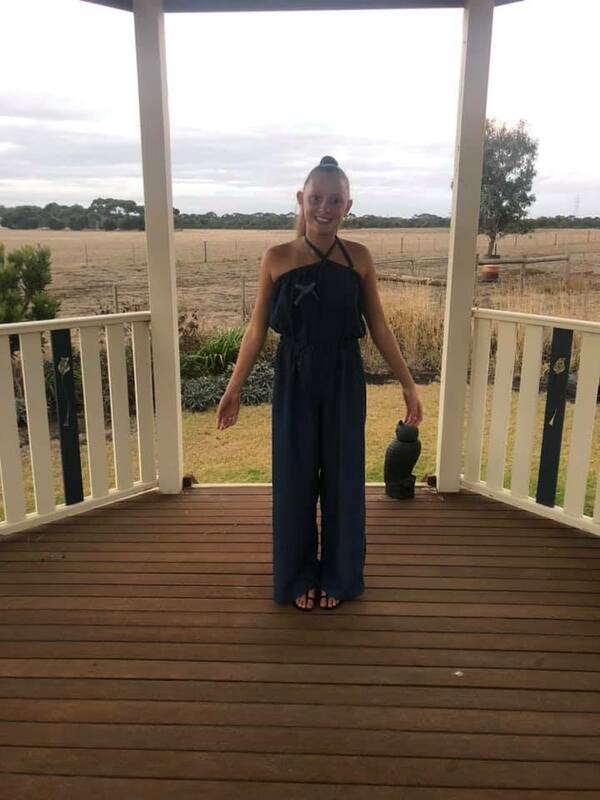 Well done and good luck Brooke! Our sewing classes are taught in a friendly, professional and uplifting environment. We look forward to welcoming you into our sewing school. 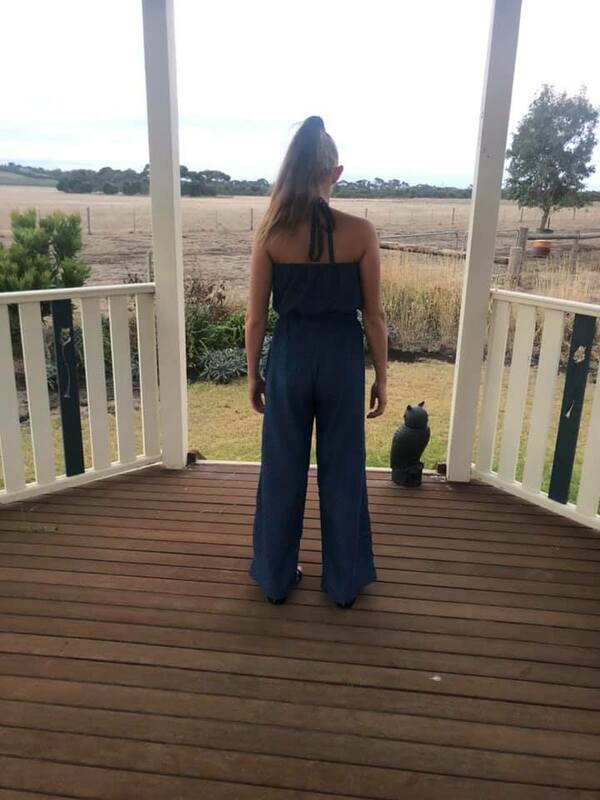 If you’re new to the Geelong and Surf Coast area (or even if you’ve lived here all your life like we have!) 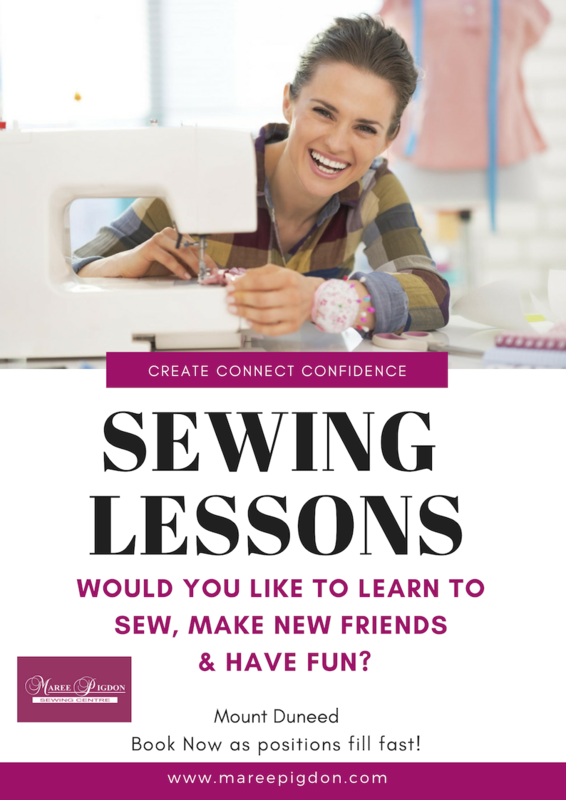 and you would like to learn how to sew, we’d love to hear from you. We have a full range of Sewing Classes in Mount Duneed from beginner to intermediate and advanced. From kids aged 8 years to those more senior in their 80′s! We have classes throughout the week, morning, afternoon and evenings as well as weekend workshops! If you would like to learn how to sew and develop your sewing skills we’d love to welcome you into one of our sewing classes. We create a supportive, up-lifting & fun teaching environment for kids and adults in our sewing school. We look forward to welcoming you into our sewing community here in Mount Duneed or via our online video courses. 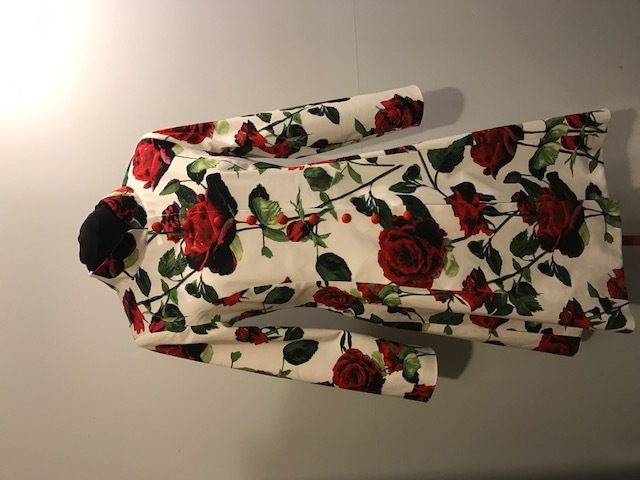 I made this lovely rose print dress coat for the Telstra Business Awards Media night this year from Simplicity Pattern 2812. I purchased a cotton stretch sateen fabric from my local Spotlight store in Geelong. I was really pleased with the result, received many positive comments and it’s fantastic to wear! 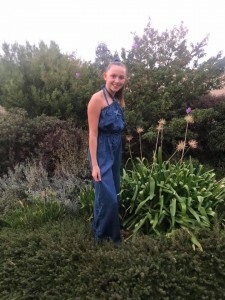 Have you made Simplicity Pattern 2812 too? I’d love to see a picture of what you made as well! We look forward to welcoming you into our sewing community here in Mount Duneed or online. Photos from our Fabric Buying Bus Trip!